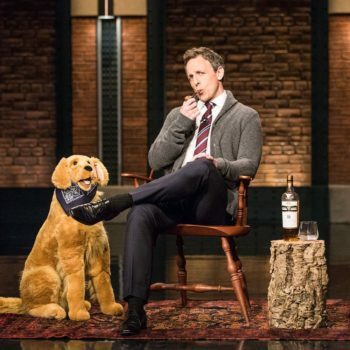 According to insiders, Seth Myers is working on a deal to host NBC’s 2018 Golden Globe Awards on January 7th. Jimmy Fallon was the host of this year’s Globes. Meyers is sealing the deal on the assignment with just seven weeks before the telecast. Apparently he was approached early on, but didn’t jump on board until a few days ago. Ellen DeGeneres and Tiffany Haddish were among the other names floated as hosts for the Globes in the interim. Tina Fey and Amy Poehler reportedly passed up return offers after their well received 2013-2015 run. More good news for Seth, last night his brother and his parents were on the show as he revealed he and his wife Alexi are expecting their second baby boy. Their first son, Ashe, was born in 2016. Watch the announcement below…and Congrats!